I love my MacBook Air, but I hate the popping sound that it makes when changing the volume. Does this sound familiar? 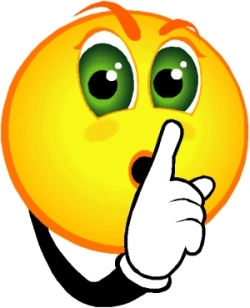 You’re in a meeting and it’s relatively quiet. Suddenly, you realize that you forgot to turn your volume down. You push F11 to lower it, but the pop pop popping sound lets everyone know what you’re doing. Not fun. You can silently change the volume on your Mac, and the fix is super fast and super simple. Press Option + F11 to bring up the Sound System Preference pane. On the “Sound Effects” tab, uncheck the box beside “Play feedback when volume is changed.” The image below shows the now silent box. Now, you can raise and lower your volume “pop-free”. Ben, I thought pressing the mute button once did the trick. (I’m at a mtg w/o my Mac but I believe it is the F10 button.) Just asking. Bet there’s a good reason I’m wrong so could you explain further so those of us who think that’s safe to make loud mistake in future? Thanks!!! Melissa, pressing the mute button (F10) will silence whatever is playing at the time. This tip explains how to change the settings to keep the volume buttons themselves (F11 and F12) from making that “pop” sound when they are pressed. You can also do this on a case-by-case basis: hold the Shift key while changing the volume. 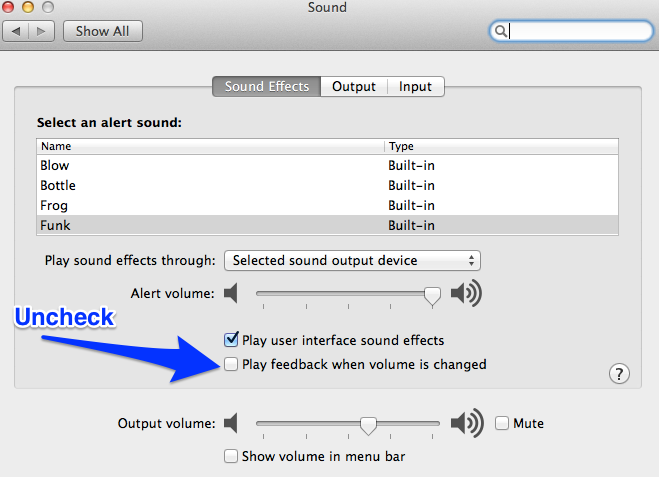 No feedback sound, even if it is turned on in System Preferences. Best of all, use the tip in this article to turn it OFF by default. Then, holding Shift temporarily activates the feedback sound. So, no feedback sound unless you specifically want it.